Simon Fraser University provides the information on this website to help employees and students manage their rights and obligations under Canada's copyright law. The Copyright Officer, based in the University Library, provides leadership, education and advisory services, and can help with obtaining permissions and handling complaints. Use of copyright protected materials is governed by law in Canada and we are subject to the Canadian Copyright Act. Additionally, the university has implemented policies and standards that, as members of the university community, we are all required to follow. It is the responsibility of each member of the university community to comply with copyright law and respect copyright ownership and licensing. On this site you will find copyright FAQs, resources and tools to support you as a user (instructor, student or staff member) or creator of copyright protected works. Please review this website for answers to your questions and contact the Copyright Office (copy@sfu.ca) if you do not find the information you need. The Copyright Office also welcomes requests for departmental workshops. Know your copy/rights & responsibilities! 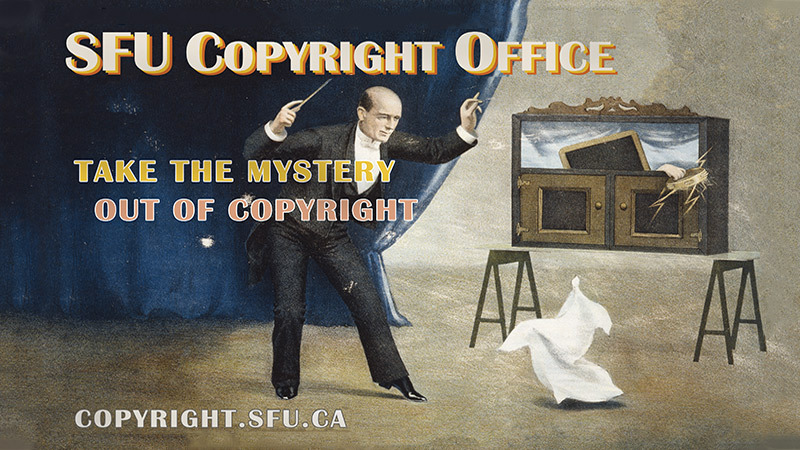 The SFU Copyright Office is here to help. 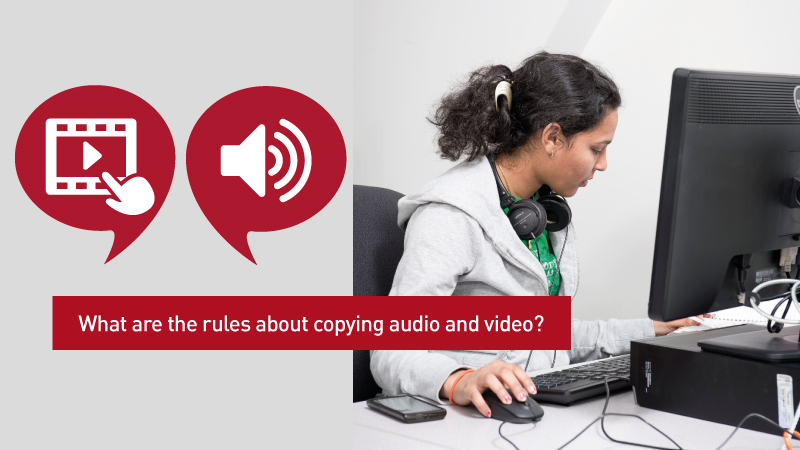 Instructors (as well as students giving class presentations) can copy and use audio and video works according to specific guidelines. 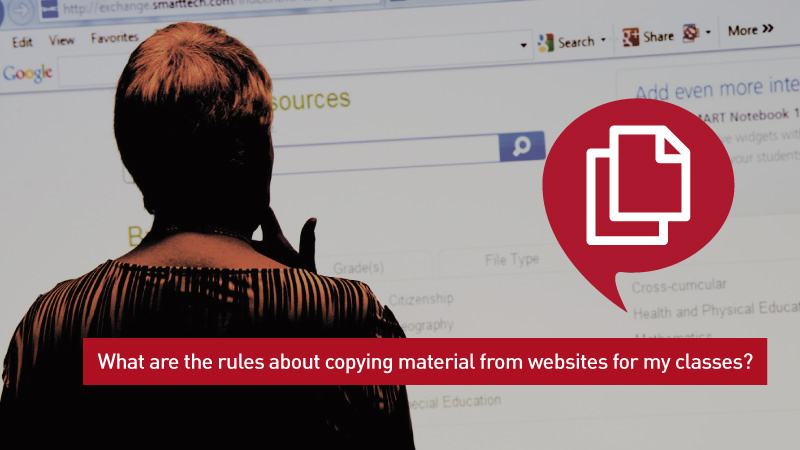 Instructors can copy materials found online for use in their courses according to specific guidelines. 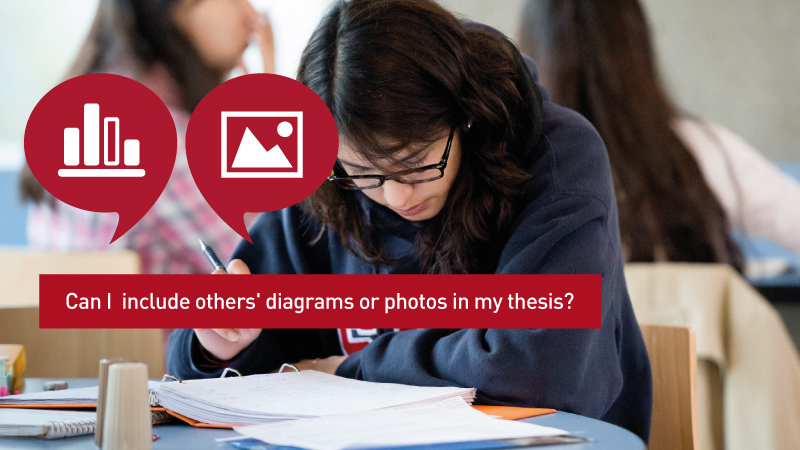 The Copyright Office can help you determine how you can include others' work in your thesis, and help you request permission from copyright owners when necessary. No current news and events.